Hello? Is it tea you’re looking for? We Are Tea began way back in 2006, in a teashop, in a back street of Budapest. Our founders Spence and Suze were on holiday (albeit not the most relaxing one as Suze came down with a bout of pneumonia…) but they stumbled upon a tea room & found respite in a cup of Moroccan mint tea. They thought “hang on someone’s missed a trick here, why don’t we have tea shops like this back in the UK? !” Back home and a year later, our tea shop opened its doors, becoming a regular pit stop for the office workers of St Pauls. Tea lovers have come a long way since the days of chucking a dusty tea bag into a cup of hot water! So the café did well, everyone loved the tea, then we had a stroke of bad luck. Just as we were looking to open up a second tea shop Occupy London hit! Due to theft and vandalism the shop sadly closed. The tea shop provided the opportunity to perfect our blends with feedback from paying customers – the best focus group possible! This feedback and continual development of our blends is what has seen We Are Tea win 55 Great Taste Awards & more recently “Best Tea” at the Quality Food and Drink Awards 2017. Consumers have become more sophisticated and are willing to spend more for traditional blends as well as experimenting with unique flavours. 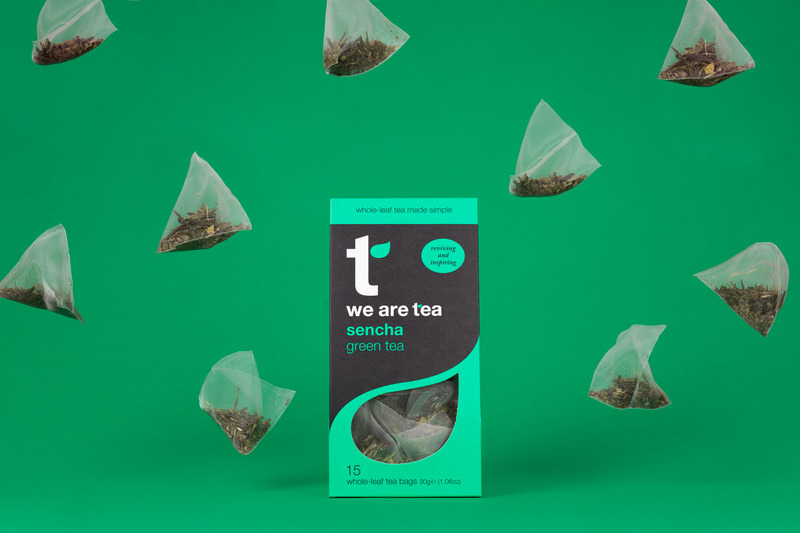 We meet this need by offering a range of whole-leaf blacks, whites, greens, oolongs, function-led teas and infusions in either loose or bag format. Keeping the leaf whole means the leaves retain their great taste and health benefits. Whilst coffee can be one dimensional (hits you with that steep caffeine boost) teas can wake you up, calm you down and everything in between. Why should we care where our tea comes from? We’re a nation of tea monsters consuming over 165 million cuppas every year and growing. To keep up with the worlds growing love affair with tea in a socially just and environmentally sustainably way, the Ethical Tea Partnership was formed. Working with individual tea estates, we help producers & smallholder farmers raise their performance against international social & environmental standards to produce ethical tea, as well as address key issues holding back tea sustainability in the global tea producing regions. Funded by us and the other members, this training and support is free for the tea producers (yay). We coined the umbrella term guilt-free sipping to cover all our commitments to the environment going forwards. One of the biggies is removing pesky plastic from our packaging completely this year, we already have 100% biodegradable and compostable teabags and takeaway cups. Did you know that most teabags on the market contain up to 25% plastic?! It’s used in the manufacturer process to bind the bag together when heat is added. If you home compost your tea bags it results in ghostly plastic shells popping up all over your garden! Ours are made out of soilon which is a bi-product of corn starch, they take longer to decompose in your home compost (3-6 months) but will biodegrade completely. Last year we were in the office discussing single use plastics and knew that we had to address this in any way we could. We started assessing our businesses contribution to single use plastics and researching into eco-friendly materials to replace it. And so the compostable takeaway cup idea came to life. We decided to partner up with London Bio Packaging, a locally based business who had a range of products that could biodegrade completely. It’s taken around 6 months for us to take it from an idea to a finished product. Our focus is now on driving education and change among our consumers and competitors. At present composting is quite limited to at home, and we want to encourage a wider change so that things don’t unnecessarily end up in landfill! 7 million plastic lined takeaway cups are thrown away every day in the UK. This has been a hot topic of conversation in our office and left us wondering how to dispose of our new compostable cups in the right way. Will they end up back in landfill? Initially the information available to us and our consumers was confusing and as it is a relatively new product we have found it difficult to get concrete answers. However, we now know that our cups can be thrown away with food waste where it will be taken to an industrial composting facility. Here it will break down in up to 12 weeks. As different councils have different rules, we always advise people to check with their local council. If they don’t have a food waste collection facility, you can compost it at home but this may take longer to break down.